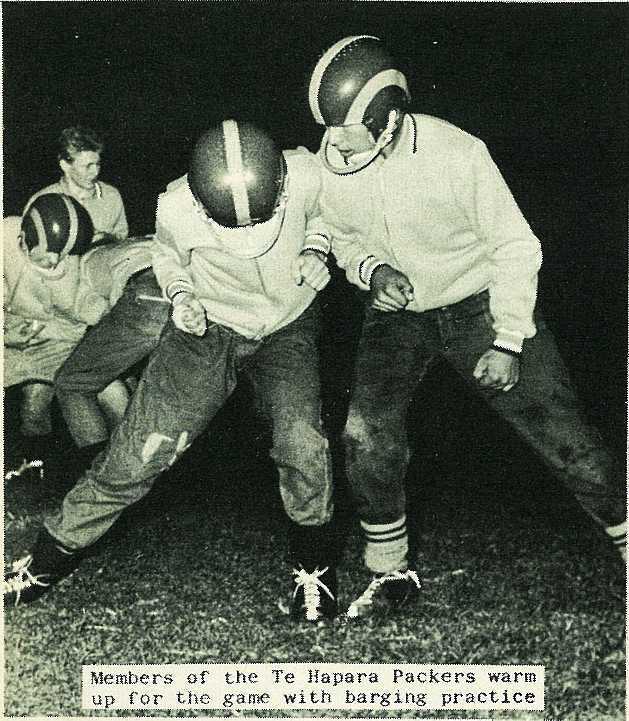 An exhibition game of American gridiron was staged at the Childers Road Reserve on a recent Saturday night before a large crowd of spectators. 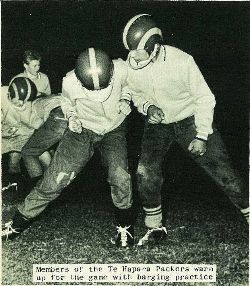 Organised by the eiders of the Church of Jesus Christ of Latter Day Saints, the game was the first of its kind to be seen in Gisborne, and resulted in a win for the Kaiti Trojans over the Te Hapara Packers by 12 points to six. 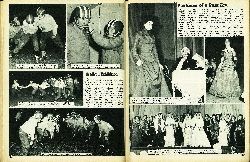 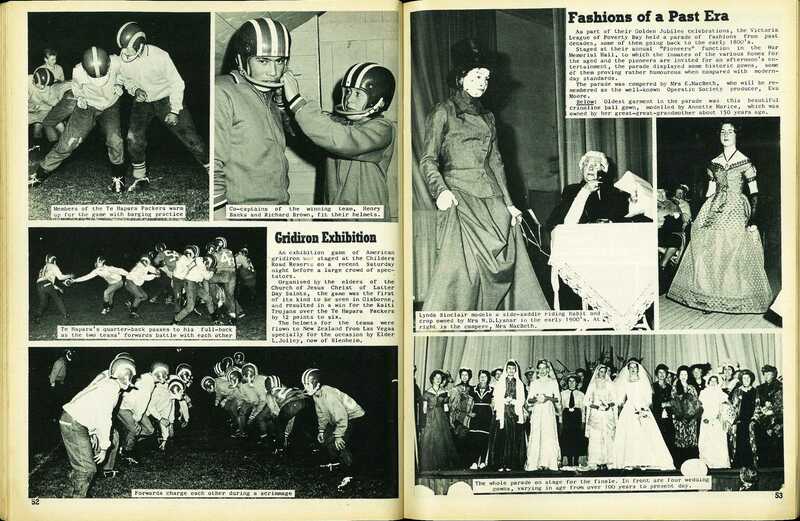 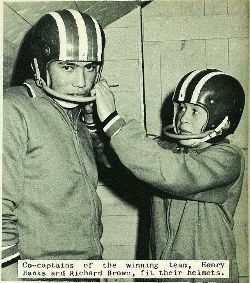 The helmets for the teams were flown to New Zealand from Las Vegas specially for the occasion by Elder L. Joliey, now of Blenheim. 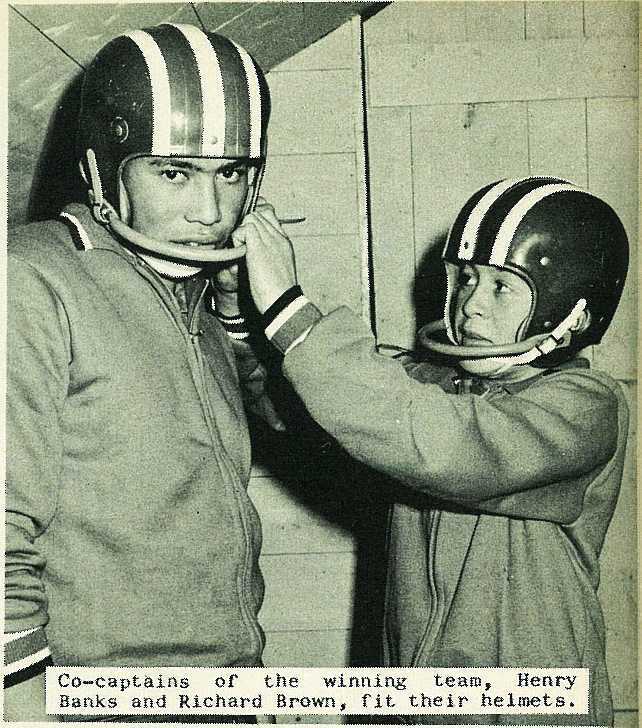 Co-captains of the winning team, Henry Banks and Richard Brown, fit their helmets.